The National Building Regulations (NBR) are not prescriptive when it comes to the size of rooms and buildings. 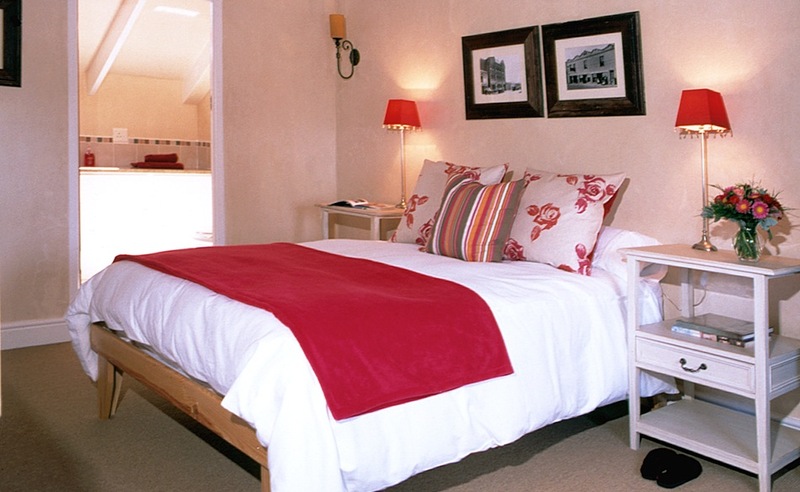 However it is vital that the size of any room or space is fit for the purpose for which it was intended. In the case of a really small house – or “dwelling unit” – the floor area of the entire building must be able to accommodate a “habitable” room as well as a separate room with toilet facilities. This is more for sanitary reasons than for comfort, and it makes perfect sense. That’s about it, though the SANS deemed-to-satisfy requirements do give a little more guidance. 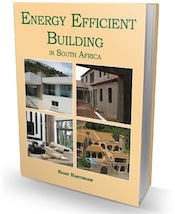 The updated requirements, published by the SABS in October 2010, were compiled with the assistance of the South African Institution of Civil Engineering. You can buy them from the SABS, either from one of their offices, or online. In essence the section on Part C, Dimensions in the Code of practice for the application of the National Building Regulations simply establishes the requirements for plan size dimensions as well as room heights and overall floor areas. It’s that simple. The floor area in the building may not exceed 80 square metres. There are certain requirements and limitations that are imposed on category 1 buildings by other parts of SANS 10400. For instance, in terms of Part T, Fire Protection, they are restricted to one storey. The maximum number of people allowed in category 1 buildings is also regulated. Supposedly this means that if a house, church, office, shop etc has a basement or is double storey, it is not classified category 1, and a different code of practice will apply. When you see dimensions on plans, you will know that these are the horizontal dimensions between UNPLASTERED wall surfaces. Of course once you plaster a wall and re-measure it, the distance between the two walls will be slightly less, since there will usually be at least 10 mm of plaster on the wall (though no one coat should be thicker than 15 mm) – and up to 30 mm if three coats of 10 mm-thick plaster are applied. If you’re a keen camper, you may not mind bending down in your temporary canvas home. But homes and other buildings have to be able to accommodate people standing up! Very few people are taller than 1,8 m (most are shorter), and so room heights generally are set at between 2,1 m and 2,4 m. This doesn’t, however, prevent designers making ceilings higher than this, even though it does increase building costs. 0,75 m from the edge of the floor space. not less than 2,1 m above the remaining floor area. All other habitable rooms. 2,4 m.
Passages and entrance halls. 2,1 m.
25% of the area of floor immediately below it 2,1 m above and below the mezzanine floor. Note that this specification has not changed since 1990 – so the existing table in the free downloadable version of SANS 10400 applies. 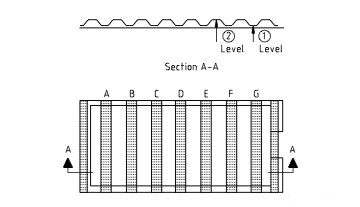 In the top section of the drawing, two levels are indicated. Normally the height would be taken at level 2, but if the total plan size of the shaded areas in the bottom part of the drawing exceed 30% of the total area of the room, the ceiling height should be measured to the first level indicated. Having said that the floor area of a small size home must be large enough to be habitable, plus must accommodate a separate toilet, there are other specifications in the regulations to consider. So while the minimum specifications are pretty tiny, they are not quite as small as you might be imagining. For instance the regulations state that the floor of any permanent building that is used as a “dwelling house” must be no less than 30 m². Permanent category 1 building may be smaller, 27 m²; and temporary buildings can be as small as 15 m². So while a bedroom can legally be as small as 6 m² (providing no wall is shorter than 2 m) it won’t be sufficient to add on a bathroom and loo and claim that it is a house! There are also minimum specifications in terms of the floor area allowed for a certain number of people using a room or building at any one time. 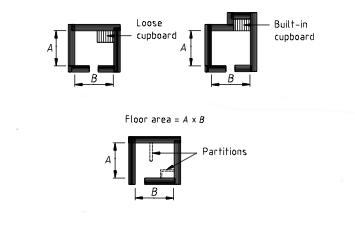 This is based on the dimensions shown on the plans, but excluding the area that is taken by built-in cupboards, cabinets and so on (see drawings below). These references are specifically in terms of change rooms and dining rooms, and so relate not only to private dwellings, but to hostels and other establishments. If one to 15 people are going to be using a dining room, the minimum allowable area is 0,8 m² per person, but the room must still be at least 6 m² in size. Not much space to party! Hi what is the prescribed window size per sqm floor space. My double store staircase is 4breaks high and the inspector says it must be 2breaks high. where do you measure the Floor Area of a room? for the FAR calculations? What is the minimum land/plot size that you can build a house on? I have a house and i am considering subdividing the land to either sell or build a small house on. My ceiling height from the floor is 2.36m. The builder says that this is acceptable. Yes it is. In terms of Part C: Dimensions, the minimum height for ceilings is 2,1 m.